One of the interesting omissions from the re-release of Xeon E a couple of weeks ago were the 8-core versions. Intel reiterated its 4-core and 6-core parts, and given the recent release of 8-core processors for consumers we were expecting to see 8-core parts hit the primetime for the commercial market as well. 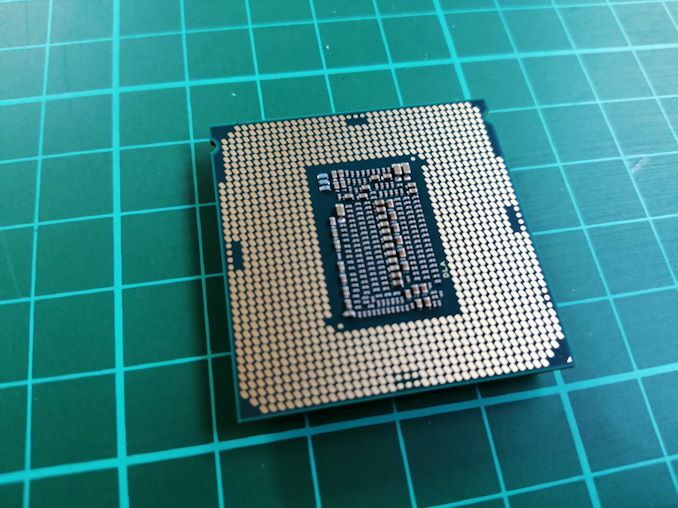 Intel doesn’t officially comment on potential future parts, however one of Intel’s partners has a pair of Xeon E 8-core processors listed in the QVL section of one of its new C242/C246 motherboards. Neither parts have names listed in the QVL list, although we hazard a guess that if they both follow the current naming scheme for Xeon E, the top end model without integrated graphics will be the E-2188 and the secondary one will be the E-2138. This means that E-21 for the family, the final digit for the number of cores, and the third digit for its position in the stack. The top part shows an 8-core processor with a 3.1 GHz base frequency, a 4.5 GHz turbo frequency, and a 95W TDP. It has 16 MB of L3 cache (2MB/core), is listed as the P-0 stepping, and it looks like the memory frequency isn’t finalized yet, although we suspect it to be DDR4-2666, supporting ECC UDIMMs. Pricing isn’t listed, but going by previous highest core count Xeon E parts, we suspect this to be in the $650 price range. The other 8-core part has a 2.6 GHz base frequency, a 4.4 GHz turbo frequency, and an 80W TDP. The lower base frequency is in part in conjunction with the lower TDP. This processor also does not have integrated graphics, nor a supported memory listed, but also has 16 MB of L3 cache. Timeline for availability is unknown. However, reaching ES stage is usually a good sign that these processors will come to market soon. The Xeon E parts aren't priced like the larger core count Xeons. For example the E-2146G (6 core/12 thread) 3.5Ghz/4.5Ghz_maxturbo 80W with a UHD 630 GPU is priced at $311 while the i7-9700K (6 core/12 thread) 3.6Ghz/4.9Ghz_maxturbo 95W with a UHD 630 GPU is priced at $374. Note prices are Intel's list. I figured, but couldn't resist.